Drs. John Aurelia and Dina Khoury in Rochester, MI believe patients should have access to a wide selection of services when it comes to replacing missing teeth. 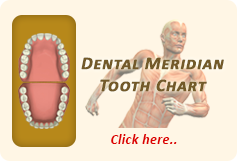 In addition to dental bridges and dentures, patients can request dental implants. The process of the dental implant procedure requires oral surgery, but many patients love having restorations that look and function as their natural teeth once did! 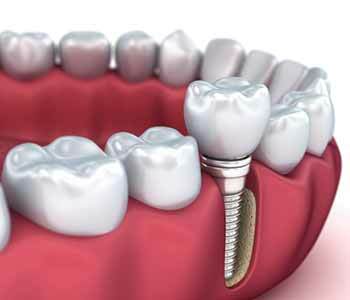 A dental implant is a titanium post that is placed into the bone of the jaw and replaces the natural tooth root. The implant can be restored over the top in a number of ways. Patients can have a dental crown placed over the abutment of the implant to replace a single tooth, or use the implants as anchors for dental bridges. Additionally, patients may even choose to have several dental implants placed along the dental arch to help in stabilizing full dentures. Whatever patients choose, the procedure is simple and effective for tooth replacement. What is the process of the dental implants procedure? Candidacy – first, patients must determine if they are appropriate candidates for dental implants. This is done during a consultation appointment and evaluation. Patients must have sufficient bone structure to ensure the implant surgery is successful. Drs. John Aurelia and Dina Khoury can check with x-rays to determine if patients are candidates for dental implants before moving forward in the process. Preparation – x-rays are taken and the plan for placement of the dental implants is developed. The dentists must make sure that the implant does not interfere with the sinus cavities when placed in the upper arch. Appropriate placement can greatly impact the success of the procedure. Placement – during oral surgery, patients are properly anesthetized and sedated, so they are comfortable for their procedure. Then, the dentists create a hole in the jawbone where the implant is placed. The gum tissue is sutured around the implant, and patients go home with post-operative care instructions. Patients should watch for signs of infection or any problems that may arise. Restoration – after the implant has become firm in place through the process of osseointegration (bone growth), the implant is then ready for restoration. Restorations may be crowns, bridges, or dentures. The restoration is attached to the dental implant and patients are educated on how to take care of their new tooth replacement. Tooth restoration is a personal decision, and our team will provide patients with the education they need to determine if dental implants are appropriate for them. Ready to discuss the idea of placing dental implants in your smile? Contact Drs. John Aurelia and Dina Khoury to learn more about this tooth replacement option and determine if it is right for you. Our office is located at 804 North Main Street #201A in Rochester, MI and can be reached at (248) 243-6044. We assist patients in and around the communities of Shelby Township, Troy, and Lake Orion, as well.